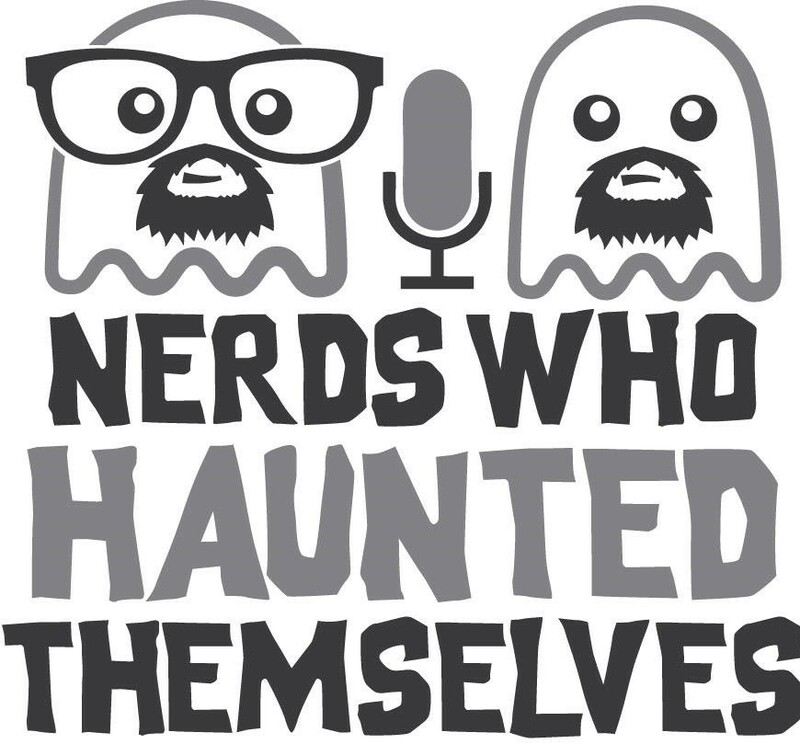 The Nerds Who Haunted Themselves is the official podcast of The True Believers Comic Festival. You can listen to some episodes on iTunes (where you can also subscribe and give us a rating). On this page you will find every episode of the podcast, including early episodes that are no longer available on iTunes . You can also follow The Nerds on Facebook. Below is an episode guide for each episode (yes there is more than one. Sorry about that). The Nerds are back to talk about finishing March Of Robots, making the switch to digital art, that Star Wars Trailer, Tim Burton's Batman at 30 and more. To celebrate the March drawing project 'March Of Robots', Stuart and Andy talk about their experiences so far, drawing in general, plus some robots, MCU and other nerdy chat in the usual rambling style you've come to expect. In which Stuart & Andy have a post Troobs 2019 debrief and talk about the falling out that neither of them noticed they'd had. They also talk Making Comics With Springworth, what they're working on next, answer some "listeners" questions and talk about the pros & cons of taking part in drawing projects. Expect the usual incoherent ramblings of two over tired nerds, trying to say profound things through the prism of idiocracy! In which Stuart and Andy see out the series and the year with some picks for their highs of 2018. Join two exhausted Nerds as they try to remember the stuff that happened to them in the last 12 months, in the usual rambling manner you've come to love/put up with when you have nothing else to listen too. Fall for our click baiting description that they reveal their deepest and darkest secrets as they answer questions about Teenage Mutant Ninja Turtles, Plugholes & Assassinations vs Murder! 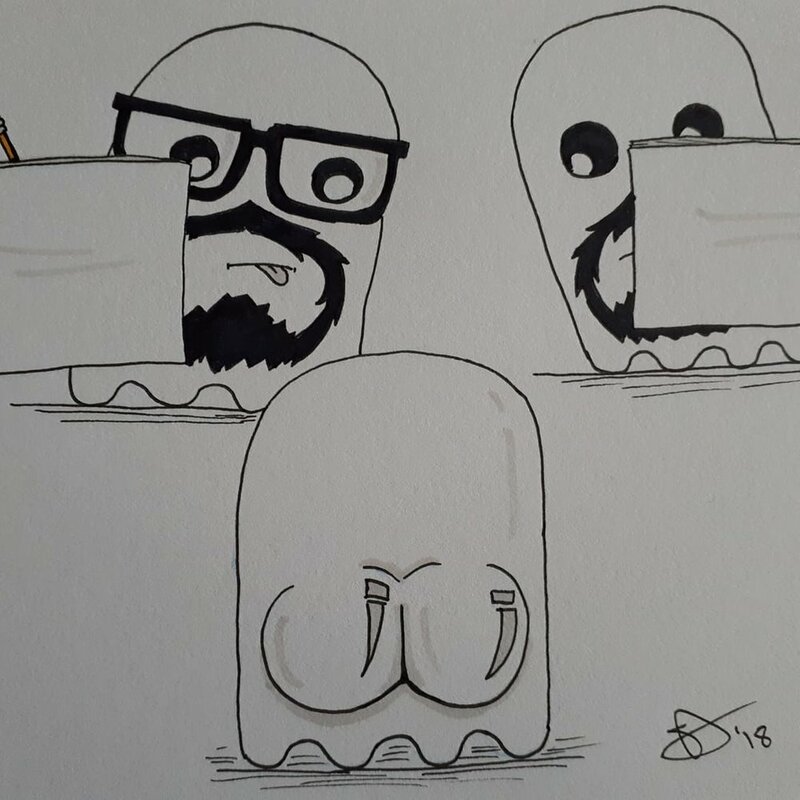 In which Stuart & Andy talk drawing... Whilst Stuart hides himself away from the vengeful wrath of Gary Busey, he and Andy celebrate Sketchtember with another drawing special and talk about why they draw, making money from art, pushing yourself to create and more. In which Stuart & Andy reflect on the Troobs Summer Variant, Stuart's trip to the DC Exhibition & Harry Potter Studio Tour, James Bond, selling sketch pages and more (plus Stuart rejoices over the end of The Big Bang Theory - the misery is almost over). In which Stuart & Andy talk about upcoming Troobs things, other projects, Stuart's Nerd sketchbook, Steve Ditko and some movie news & trailers in that rambling way they do these things. In which Stuart and Andy (and Siri) talk about their trip to Cardiff for CICE, discuss a couple of trailers, 30 years of Superman on BBC Radio and more. In which Stuart & Andy talk cons, Superman and comic sniffing, before getting stuck into the most important issue troubling us in this modern world; what are the best films in the MCU? In which Stuart and Andy talk about Sarah Harris' Small Press Event at The Incredible Comic Shop, Kevin Smith, True Believers 2019 and more in their usual - if not slightly tired - rambling manner. In which Stuart and Andy discuss their 4th attempt at putting on The True Believers Comic Festival at Cheltenham Racecourse, the launch of Tales From Beyond Infinity & the I Am Zoot sketchbook Robots And Other Stuff, 1.5 Editions and the TBCF Future. We've also fixed that annoying hum that was under the last few episodes, although you can hear Andy scribbling with a pencil at certain points! In which Stuart & Andy record a podcast without making any notes in advance, leading to an hour or so of conversation chaos! Good luck! 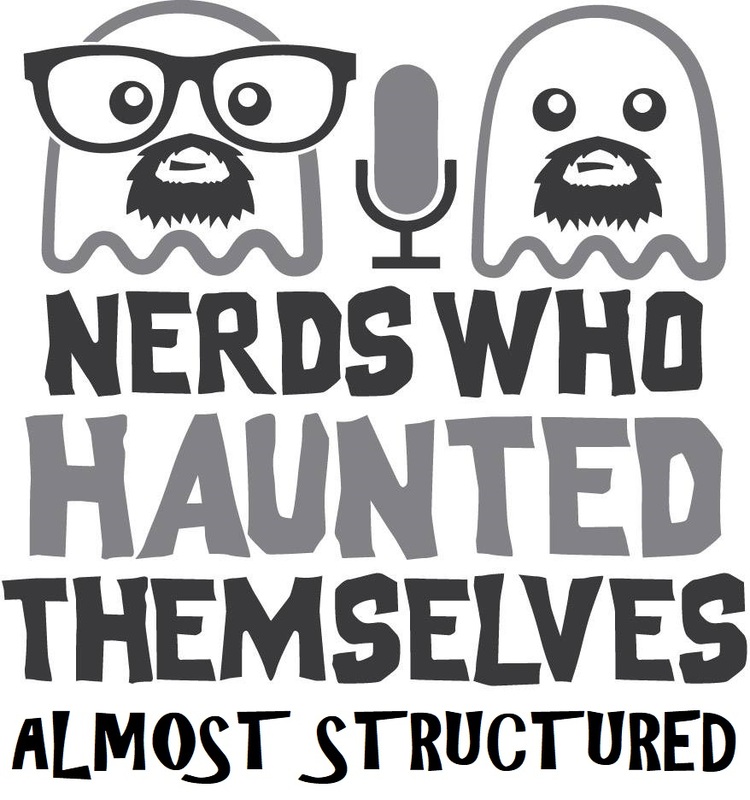 In which Stuart & Andy have a really rambling conversation about nerdy stuff. This Episode was recorded on 23rd November 2017 and then forgotten about until New Years Eve 2017, so there's that! In which Stuart & Andy discuss some of the trailers that came out of this years SDCC, including Justice League, Star Trek Discovery, Ready Player One & Thor Ragnarok and a couple of other bits too. In which Stuart and Andy do a rambling round up of some of the news that caught their eye, talk about some upcoming True Believers News before making way for the Discover Something New 2017 panel from True Believers 2017. This episode was recorded on Wednesday 7th June 2017 and the panel was recorded at True Believers 2017 on Saturday 4th February 2017. In which Stuart & Andy talk about the trailers for Blade Runner 2049, The Last Jedi and Baywatch! They also do a quick round up of some of the Nerd News that caught their eye, before bringing you the Transformers Panel from True Believers 2017. Then to round the episode out, they talk about cartoons (and some live action shows) they grew up on and still watch! This episode was recorded on Monday 15th May 2017 and the panel was recorded at True Believers 2017 on Saturday 4th February 2017. In which Stuart & Andy share their thoughts on the trailers for Justice League, Spider-Man Homecoming, Thor Ragnarok & IT, plus some of the nerdy news that broke, before you can hear from people who know what their talking about as we bring you the Inside The Artist Studio panel from True Believers 2017. Then to round things off the Nerds talk about their own experiences and methods for drawing. This episode was recorded on Tuesday 11th April 2017 and the panel was recorded at True Believers 2017 on Saturday 4th February 2017.
with Stuart Mulrain, Andy Hanks & Paul Cornell. In which the podcast nobody asked for returns!!! Stuart and Andy are back with a bit of a (very rambling) catch up of the stuff they missed in the year there was no podcast (sorry about that) talk about the TBCF event just gone and the ones in the future. They also talk about Hugh Jackman's final Wolverine outing in Logan (with Spoilers) and you can hear Stuart's conversation with Paul Cornell, which was recorded after the Evening With event in August 2016. In which Stuart gives a brief introduction to the Doctor Who Panel from True Believers 2016. In which Stuart briefly introduces this archive episode, which features Stuart and Barnaby Eaton-Jones talk about their shared love of James Bond. This episode was recorded sometime in 2014 and was edited (we used to do that back then) by Claire Carpenter. with Big Punch Studios and Panel Borders. In which Stuart (and his sons Daniel & Jack) briefly talks about the panels at True Believers Comic Festival 2016 and his love of the film SuperBob, before handing over to the Panel Borders recording of the Big Punch Studios panel from TBCF2015. THE (ORIGINAL) NERDS ARE BACK! In which Stuart is joined by Andy - the original co-nerd - making his triumphant return to the Nerdcast. Up for discussion this episode are the trailers for Batman V Superman, Suicide Squad & Deadpool, The New Star Wars Cinematic Universe, Ant Man (little bit spoilery), The Fantastic Four backlash and a little Inside Out (with added badgers). A mini episode in which Stuart and his son Jack talk about True Believers for about 10 minutes before a podcast recording of the Crowd-Funding Your Comic panel from True Believers 2015 (courtesy of Panel Borders). Recorded on Tuesday 7th July 2015. In which Stuart and Joy-Amy Wigman talk all thing Jurassic Park - before going off on their usual tangent about other stuff. Recorded on Monday 15th June 2015. In which Stuart sits down with Heidi Renton of the BBFC to talk about how the BBFC works, how they classify films and more. The podcast was recorded as part of a special Evening with the BBFC event that Stuart had put on as part of the Gloucestershire Showcase Short Film Festival (under which this podcast was originally available). In which Stuart and Joy-Amy return to cover some of the more recent Nerd News. They discuss the trailers for Supergirl, Batman V Superman & The Force Awakens and Osgoods potential return to Doctor Who. They would've covered more but as usual they went off on many a tangent, including Stuart's Man Crush on Dean Cain! Recorded on Thursday 21st May 2015. Stuart sits down with comedienne, poet and actress JOY-AMY WIGMAN to talk nerd stuff. 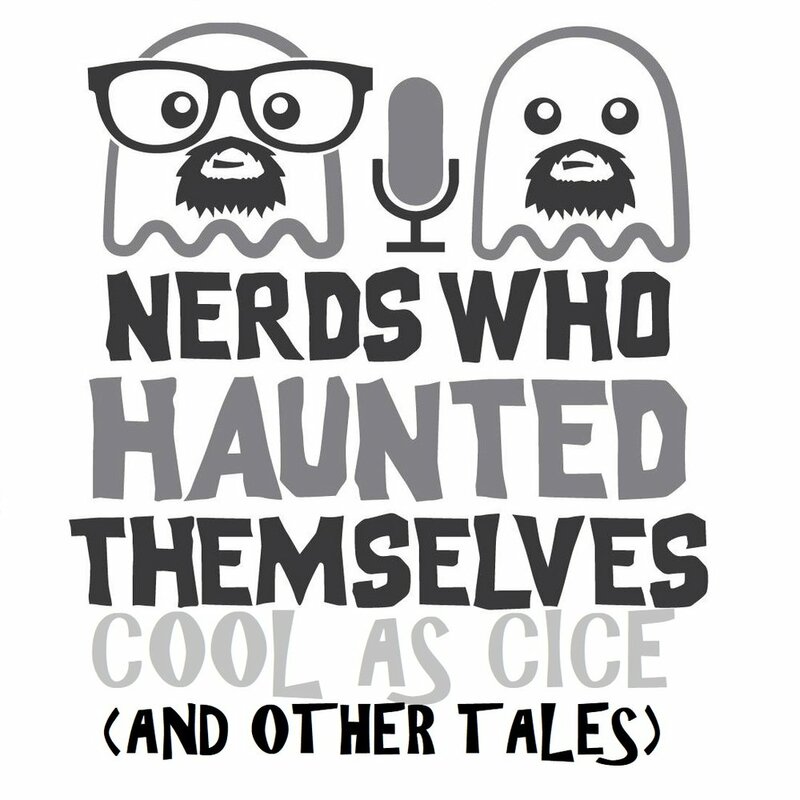 Topics include Doctor Who, The Ghostbusters Reboot, Terry Pratchett and more. This episode does contain a couple of uses of strong language (sorry about that, it's all Joy-Amy's fault!). With Stuart Mulrain, Ben Fardon & Jon Lock. Whilst Andy is away, Stuart, Ben and Jon talk about some of the short-lived TV shows that were cancelled before their time (and go off on a tangent about some other stuff as well). This podcast contains silly grown up and rude words so may not be suitable for children. It's all Stuart's fault! With Stuart Mulrain, Andy Hanks, Ben Fardon and Jon Lock. In which Stuart, Andy, Ben & Jon discuss Marvel's latest cinematic offering in spoiler filled detail (so make sure you watch the film first). With Stuart Mulrain, Andy Hanks, Ben Fardon and Andrew Stephens. Stuart and Andy are joined by Ben Fardon and Andrew Stephens to talk all things Batman in honour of the dark detectives 75th birthday. Stuart and Andy are joined by Ben Fardon and Jon Lock to talk about all things toys. Listen to them talk about the toys they had, the toys they loved and the toys they buy now. From the obvious Transformers to obscure toys like Food Fighters (via the cartoons that came with most of our childhood toys). CORRECTION: Stuart mistakenly says that TOY HUNTER is on Thursdays. It is actually on Wednesdays at 10pm on Quest. EPISODE #7: DID SOMEBODY SAY MAN OF STEEL? In which Stuart & Andy are again joined by Ben Fardon and Jon Lock to talk about all the latest nerd news. Or at least that was the plan, then somebody said Man Of Steel and it all went to hell! This podcast is no longer available on iTunes. EPISODE #6: EVERYTHING IS MOSTLY AWESOME. CREEP! In which Stuart & Andy talk about the True Believers Kickstarter before moving on to discuss - with spoilers - the new Robocop and The Lego Movie. In which Stuart, Andy, Ben and Jon discuss the True Believers Comic Festival, how it came to be, why it came to be and what they hope it will be. In a special episode recorded in Cheltenham's Proud Lion comic shop, Stuart and Andy are joined by Proud Lion owner Ben Fardon and Afterlife Inc. creator Jon Lock, for a rambling talk about comics, owning a comic shop and creating and publishing your own comic book series. With Stuart Mulrain, Andy Hanks and Mojo Jones. 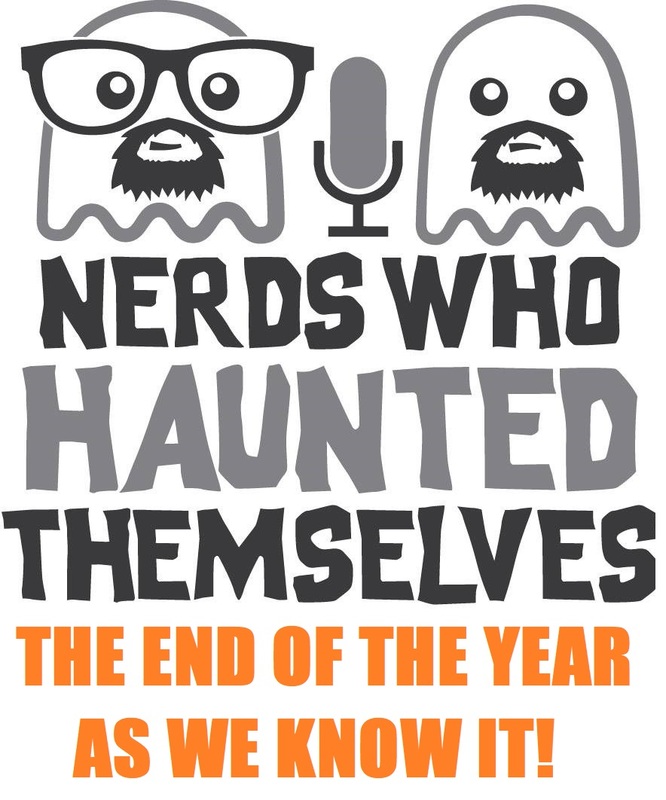 In which Stuart, Andy and Jo get together to talk about their Nerdy highs and lows of 2013. 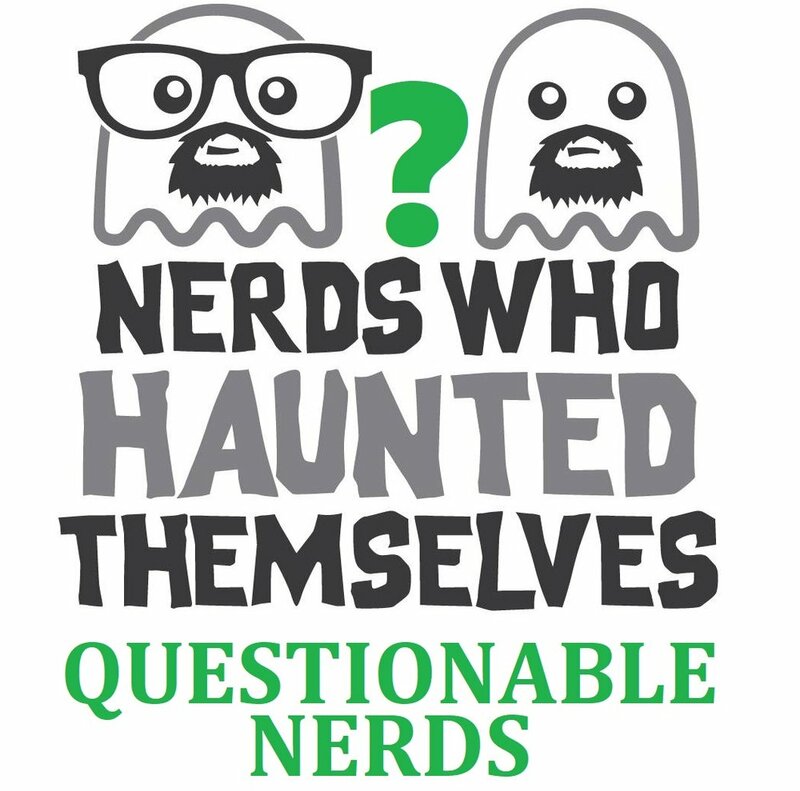 In which Stuart and Andy are joined by Nerdlesque Dancer Miss Mojo Jones to discuss nerd burlesque, the nerd news, Star Wars and more. With Stuart Mulrain and Andy Hanks. 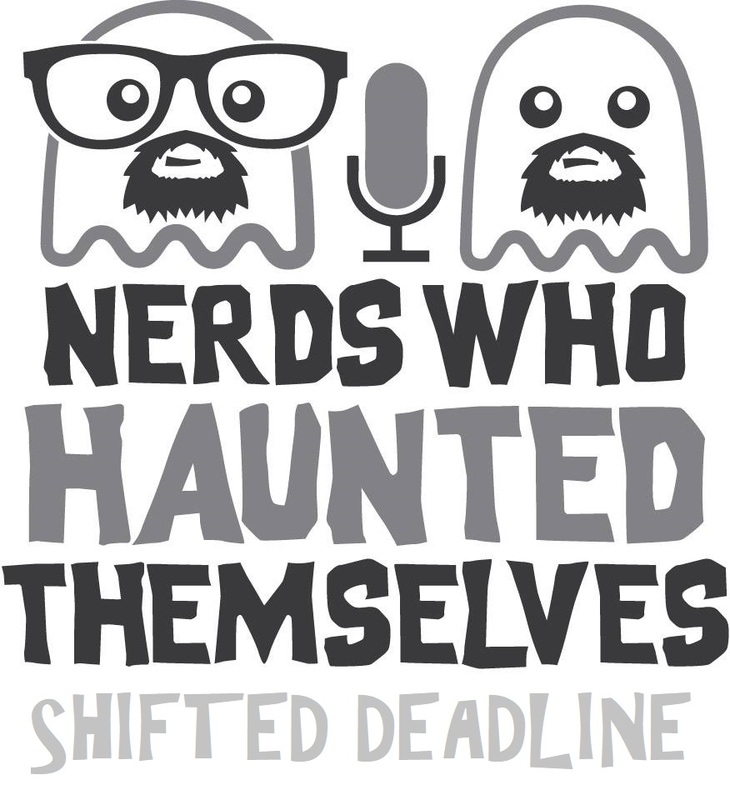 In which Stuart and Andy return to talk about the nerd news, Melksham Comic-Con 2013, BatFleck and more. In which card carrying nerds Stuart Mulrain and Andy Hanks sit down and talk about how they got into comics and all things nerdy.